Coleman quality and brand name in a 16 Qt. 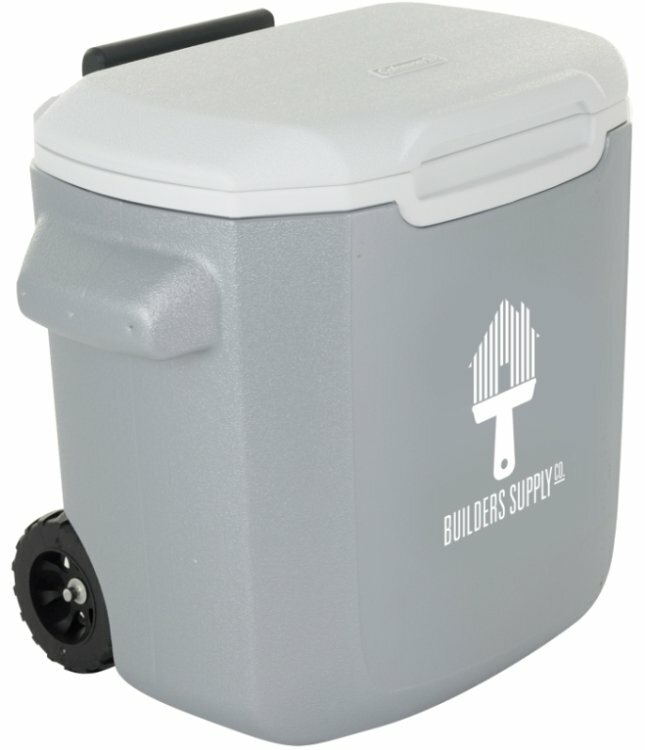 Wheeled Cooler with your logo. Holds 22 12 oz. beverage cans. Overall 15 w x 14 h x 10 deep. Applications rated as the best overall printed wheeled cooler. Also for company performance awards & advertising gifts. Wheeled Cooler Colors: Silver, Red and Royal Blue. Overall my best experience ever buying promotional products and the quality of the Coleman Wheeled Cooler surpassed all expectations. My sales rep took great care making certain I was comfortable through the short buying process and our logo never looked better on the finished coolers. I recommend PII along with Coleman coolers to anyone looking for great employee gifts.